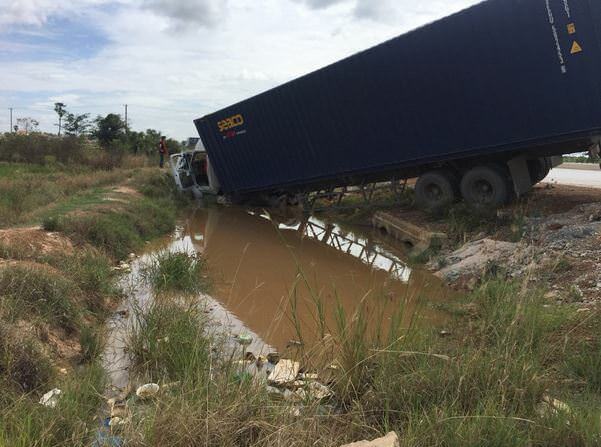 Phnom Penh, Cambodia News: Fortunately, no one was injured in an accident involving a container truck at 10:20 am on October 5, 2018, at the 50-meter highway in Anlong Korng Village, Sangkat Prey Sak, Khan Dangkor, Phnom Penh. 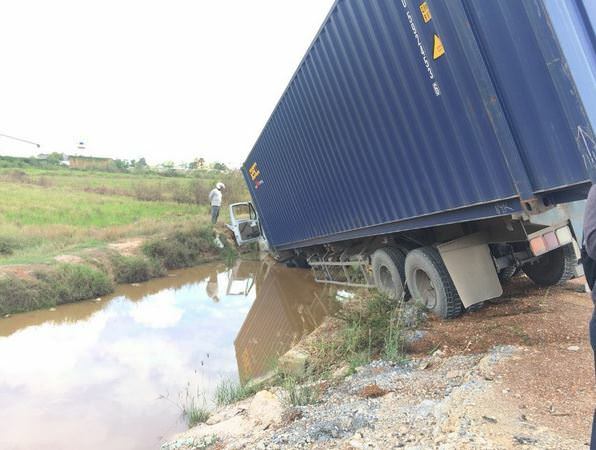 The truck swerved off the road to avoid an on-coming vehicle and landed in a canal. 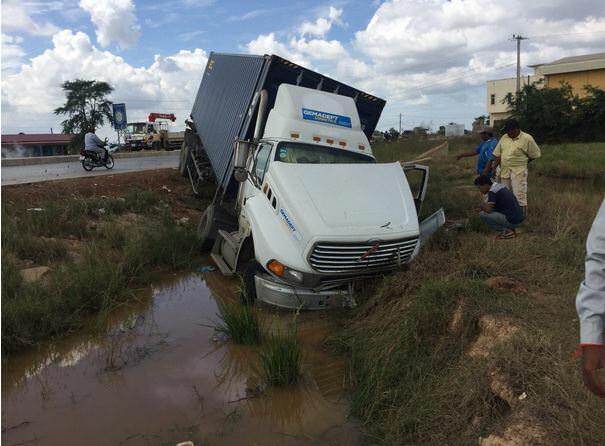 The driver was shocked, but unharmed. Be careful on the roads out there. It's the Pchum Ben holiday season. KLIA2 Container Capsules for Stopovers.